You read it correctly. After the posts from this week, here and here announcing two new books for review, now I am announcing 3 more. This time, there is no book of 1000+ pages thus it looks doable. Hopefully I will be ready with the 5 reviews before the new year 🙂 Let’s see what is going to happen. Now a little more about the books. Relational Database Programming (Stefan Ardeleanu) – this book has attracted my attention, because I have some experience with programming in DBs and making database applications. In my experience I was always learning from colleagues and the net, thus I wanted to read a book about it. Hopefully I would not be disappointed. 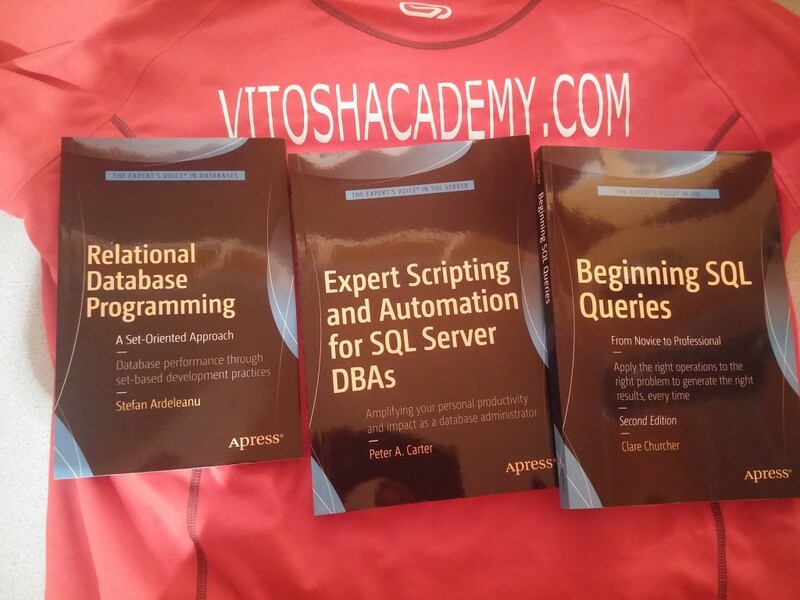 Expert Scripting and Automation for SQL Server DBAs (Peter A. Carter) – whenever there is automation of anything, I try to go there 🙂 This book attracted my attention with the names of its two chapters – the first one is “TSQL Techniques for DBAs”, the second is “PowerShell Fundamentals”. I did not need to read more, in order to know that I should be expecting something useful. Let’s see. Beginning SQL Queries (Clare Churcher) – actually this book seems to be for a rather basic level (that is why it has the word “beginning”), but as far as I am trying to get the MCP certificate in the database path, it is a must.